Being able to use your yard or garden after the sun goes down can help you get a lot more enjoyment out of it. If you are like most people, you probably work during the day. That means that the majority of the time that you spend in your outdoor space is limited to the evenings and weekends. 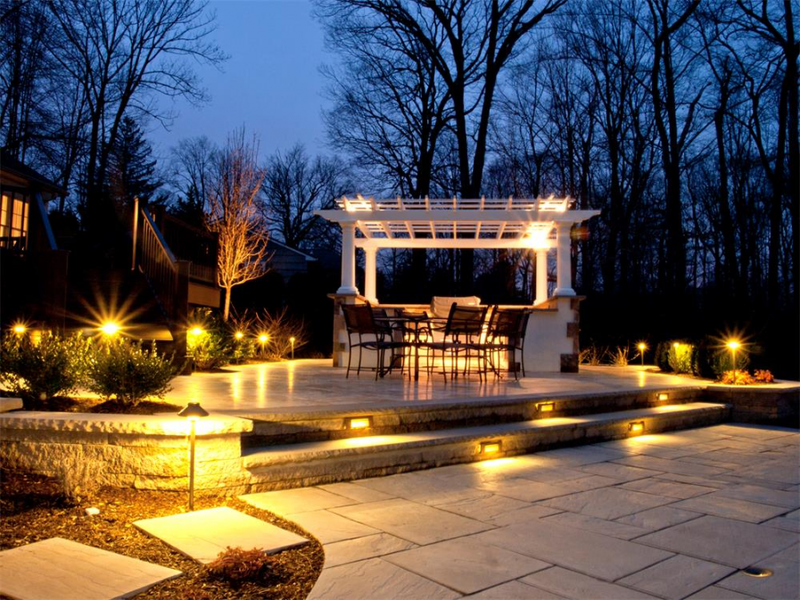 Landscape lighting can go a long way toward making the space more usable even after the sun dips below the horizon. Upgrading the lighting outside your home is like adding an entirely new space for entertaining. 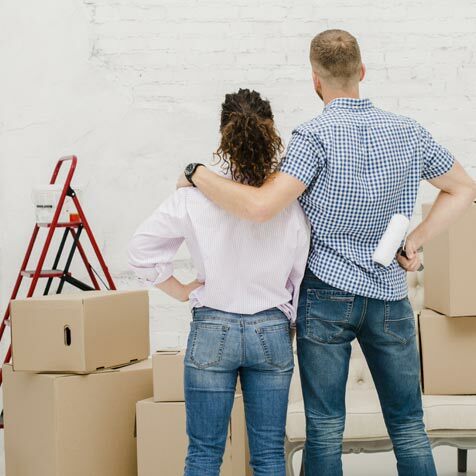 It is the perfect way to expand your space without having to spend a fortune on home renovations. The right outdoor lighting can create a beautiful, enchanting space that is perfect for relaxing or entertaining. You can even use lighting to draw attention to key focal points outdoors such as fountains or interesting architectural details. Over the past few years, the outdoor lighting industry has shifted toward using LED lighting rather than more traditional types of lighting. This shift is easy to understand when you consider all of the benefits that LED lights have to offer. For one thing, they are extremely energy efficient. You can significantly cut down on the amount of power that it takes to light up your yard simply by switching to LED lighting rather than halogen or incandescent lighting. The low power usage of these lights isn’t only good from an environmental standpoint. It also helps make the installation process easier. Traditionally, installing outdoor lighting meant digging trenches where a 120-volt power line could be installed. 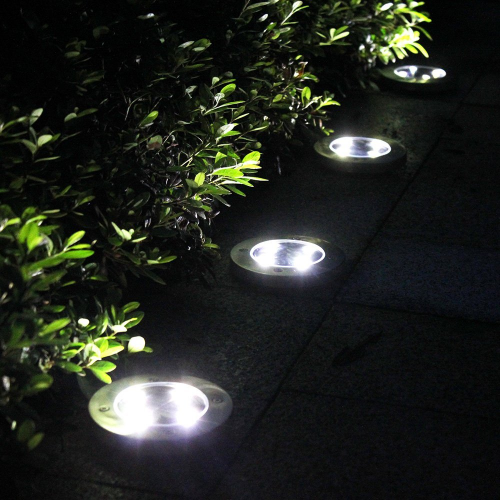 With low-voltage lighting, on the other hand, there is no need to dig trenches since these lights only require about 12 V of power. 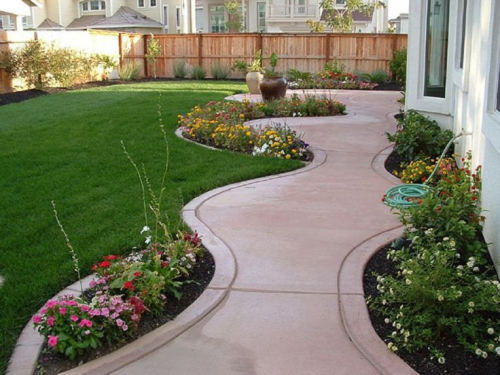 This makes the installation process far easier and less destructive to your lawn and landscaping. Don’t make the mistake of mounting lights directly on nearby trees. Although this may seem like a convenient option, it almost always backfires. As the tree grows, it can slowly surround the light fixture. Additionally, screwing or nailing into the trunk of the tree can cause damage to the tree itself. If you do want to mount a light fixture on a tree, use a strap-mounted system instead. With this option, a strap is wrapped around the tree to hold the light fixture in place. As the tree grows, it can be adjusted to accommodate any changes, helping to prevent long-term damage to the tree or the light fixture. You may find it more beneficial, however, to light the tree from the ground using an up-lighting technique. With this option, the light is mounted on the ground and pointed upward toward the tree, helping to highlight it and turn it into a focal point of your landscape. In-ground lighting fixtures are an attractive and versatile choice for outdoor lighting. The process for installing these lights is relatively easy. All that you have to do is dig a hole down into the ground approximately 18 inches. Add gravel to the hole, filling it to about the halfway point. This will help ensure that water can drain away from the light. The next step is to prepare the cable for the light fixture, making sure that it is long enough to reach the source of power. After that, it is simply a matter of installing the housing for the light fixture and stabilizing it with extra gravel. Once the fixture is in place, all that you have to do is position the lamp in the housing. You can change the look of the lighting simply by changing the lens that is used on the light fixture. A good example of this is a 45° cutoff lens. These lenses are designed to minimize glare from the light fixture. Once the installation process is complete, all you have to do is put the lid on the light and conceal the power cord from sight using mulch. Finally, the last step is to plug the light fixture in. After you plug it in, you may need to make additional adjustments. If you are going to be doing any type of wiring, it is important to seek help from a qualified electrician. 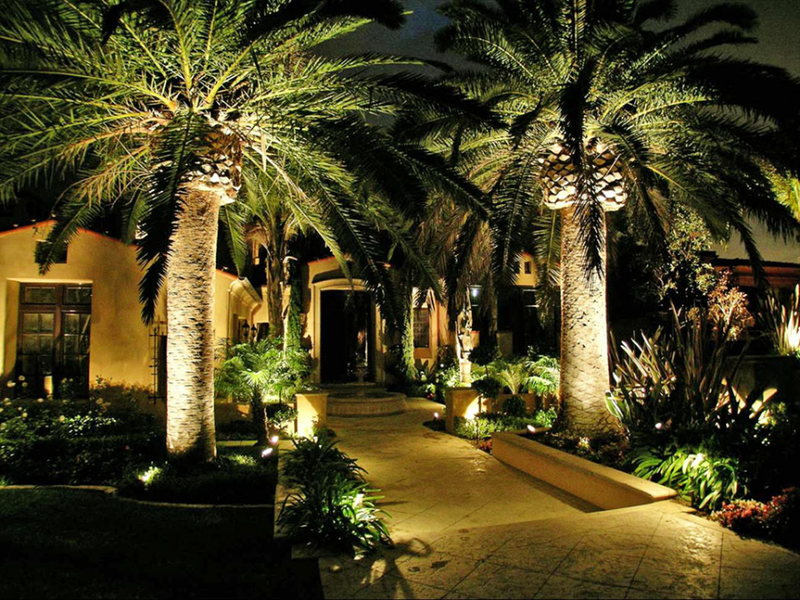 When it comes to residential landscape lighting, there are many choices available. For a more unique and interesting look, consider installing artisan-designed lights. These lights come in many different colors and styles and can be used to create a one-of-a-kind look in your outdoor space. Spotlights are a great option for creating outdoor focal points. 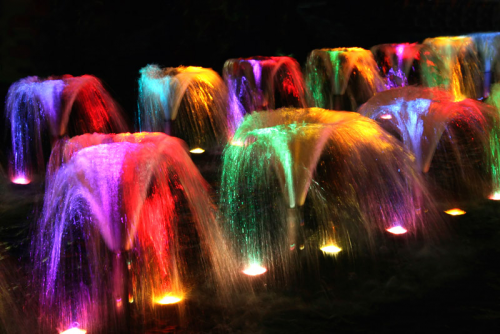 Whether you use them to draw attention to a fountain or to another feature of your landscape, they are excellent at directing the eye where you want it to go. There are even underwater spotlights available that you can use to create unique and interesting effects. For a festive look, you can hang Chinese lanterns or clear globe lights above your patio or deck. Concealing the light fixtures using rocks or other natural objects can keep them hidden during the day. At night, however, the light will creep out from the crevices, creating a beautiful, enchanting effect that enhances your outdoor space. What Is Gorilla Hair Mulch and When Should You Use It?